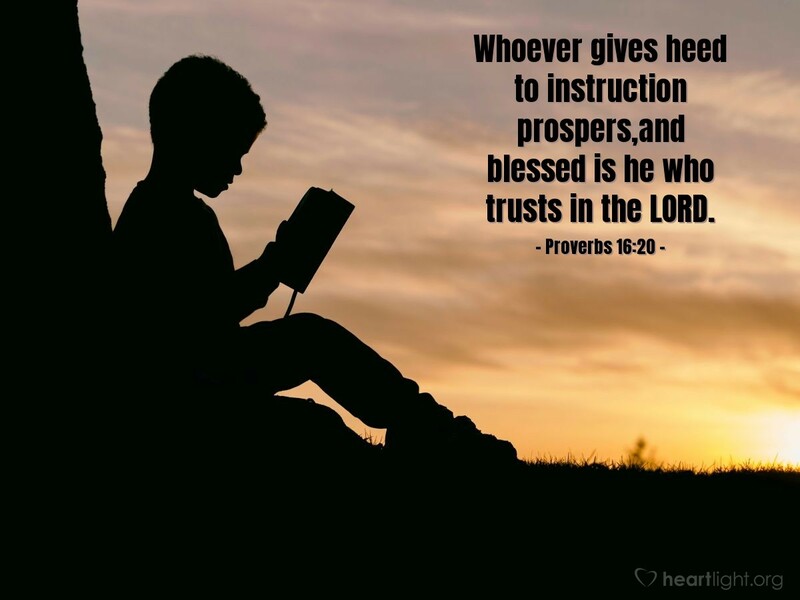 Those who seek the instruction of God's wisdom and who trust in God for their life's blessings and values will find joyful prosperity. While this philosophy doesn't play well in the world of commercials, this understanding is the key to a blessed and prosperous life! Wise and Eternal God, open my mind to your wisdom and my heart to your gracious presence. I trust my future with you. In Jesus' name I pray. Amen.